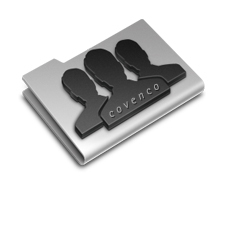 Ecommerce solutions for Covenco UK Ltd resellers, VARs and MSPs, and a compare the market service to find stock in distribution. Covenco started way back in 1989, selling IBM's System 36 and AS/400 servers. Over 25 years later, we still have IBM at the core of our business, but we do so much more now - other brands, services, software - before you consider our sister companies and their specialties. Covenco have always strived to provide good value without compromise, and it remains a common goal for all our group companies. Our sister companies work in a variety of related industries - as Business Partners for new IT solutions, Business Continuity specialists, new media consultants and more. If you thought Covenco was just about second hand tin, please take the time to understand the full breadth of our services. You may find we can help you in many more ways than you first thought. We buy, sell and rent computing hardware. Covenco are the UK's largest independent brokers and hardware specialists. Our expert computer services and expertise combined with aggressive pricing make us the perfect partner for any IT procurement process. Our independence means we can supply Servers, storage and systems at a price point typically not available elsewhere - along with computer hardware and components that have been discontinued by the manufacturers.